Anspach & Hobday have been on my ‘to try’ list for a long time, but somehow they never ended up in my basket when restocking my cupboard. This is the slight downside to the current explosion of new breweries – it’s impossible to keep up with them all! 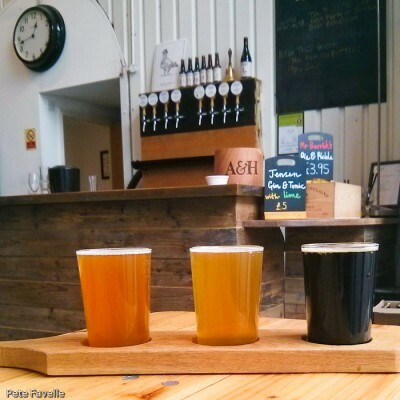 We ended up visiting them by accident a few months ago; we’d popped down to Maltby Street for a decadent Sunday lunch (seriously, if you’re in the area you have to try African Volcano‘s phenomenal food) and decided to visit a random brewery in the area. This is where things got odd. Google told us that Bullfinch Brewery was just around the corner, but when we got there it turned out that they’d flown the coop (and are apparently just about to be reborn in SE24) leaving their old arch-buddies as sole occupants. I’m happy to say that Google has corrected itself now, and as we weren’t looking for a specific brewery, it all worked out rather well. It would have been rude not to enjoy a quick taster in their brewery tap, but I was somewhat limited by the fact that we had the car with us. Happily, I was able to buy their main range in bottle form so that I could do a properly considered review from my sofa. Fully half their range is Porter – which I suppose for a London brewery is entirely reasonable – but I’ll start with their non-porter offerings. The Pale Ale is a 4.4% ABV ale dripping with hops. The aroma is fruity and floral; sweet tropical fruit, tree blossom and honey. It’s initially honey sweet in the mouth, but that’s quickly countered by the bitterness of all those hops. The bitterness is light but lingering, as is the fresh tropical fruit sweetness. 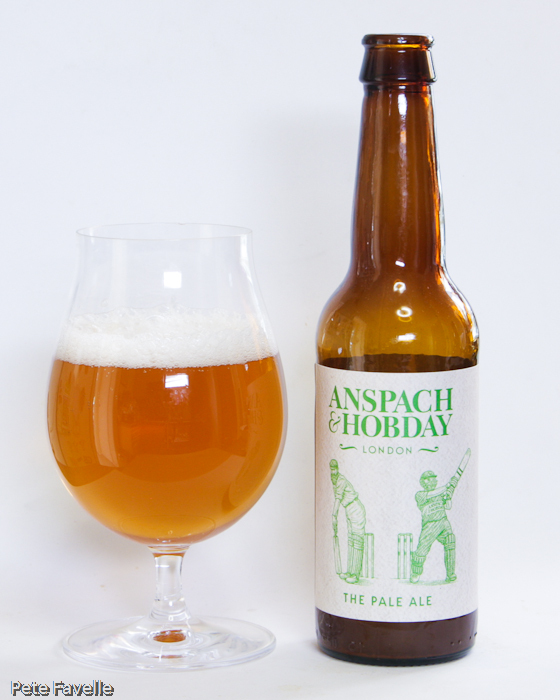 It manages to be a big hop bomb at the same time as staying a light, refreshing pale ale – magnificent. Having been one of the beers I tasted while at the brewery, I was smart enough to stick a lot these bottles into the box I bought – and I’m still slightly regretting that I didn’t buy more! 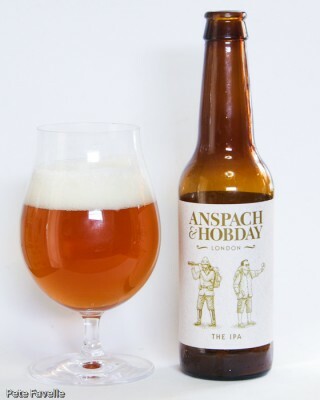 The IPA at 6% ABV is a stronger version of the Pale Ale – very similar visually, and with the same intoxicating aroma of fruity, floral hops. Underneath, though, is a richer caramel biscuit note. In the mouth there’s an initial richness and just a hint of alcohol depth. After that is a big, deep and slightly resinous bitterness that grows and deepens with time; oily and with a harsh bitterness reminiscent of orange pith. Overall it has the punch of a proper IPA, but it doesn’t have quite the poise and balance of the Pale Ale. The Smoked Brown is another 6% ABV ale. It’s an impressively dark brown, with a loose textured dark tan head. The nose is only subtlely smoked; mostly biscuit and an undercurrent of alcohol warmth. The longer it sits in the glass the more obvious the smokey character becomes, but it remains well understated. In the mouth, the smoke is more obvious; after an initial warm, brown sugar sweetness a distinctly bitter and slightly metallic tang comes through. In the finish, there’s a definite cold bonfire taste. Smoked beers are tricky things to brew – they’re often overwhelming – but if anything this underplays the smoke character. 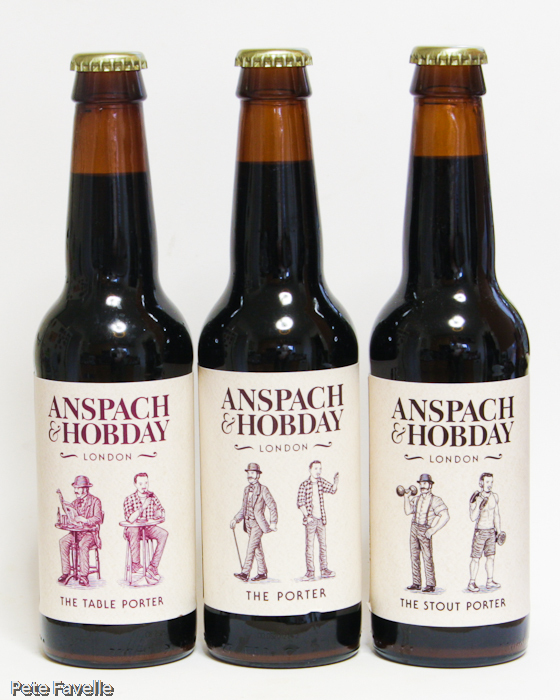 Next up comes a trio of Porters, running across a nice range of strengths. I can see the logic to this – although if it were me, I’d have pitched the middle offering at a slightly lower ABV – but I wonder if there is a danger of too many virtually-identical beers? 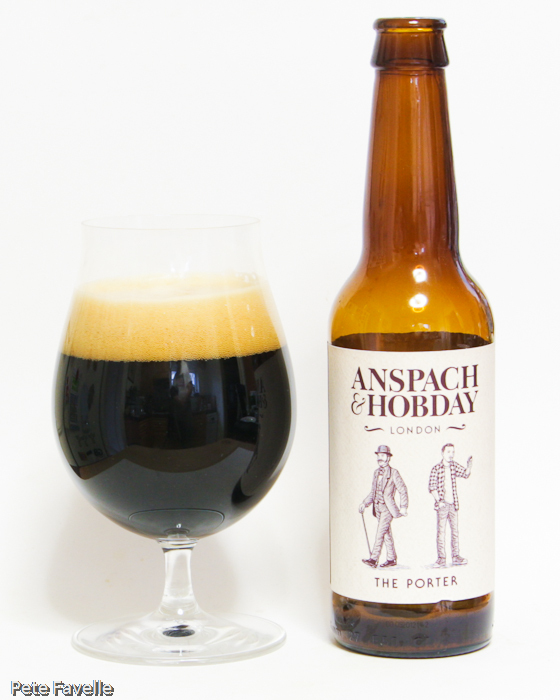 The Table Porter is the first of a trio of porters, in this case at a low 2.8% ABV. Despite the low strength, it certainly looks the part with a dark brown colour and a spectacular tan head. The nose is nicely floral with English hops and just a little espresso in the background. It’s curious on the tongue; not too watery, a nice bitter kick with more coffee notes but also a slight sour edge underneath which adds a nice dimension. 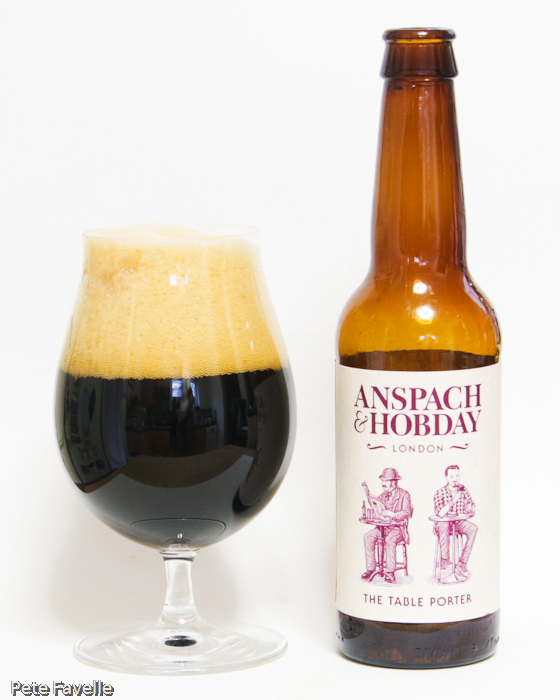 There’s no sweetness in evidence which makes for a nice crisp porter that slips down nicely but it comes across as a little one-dimensional. 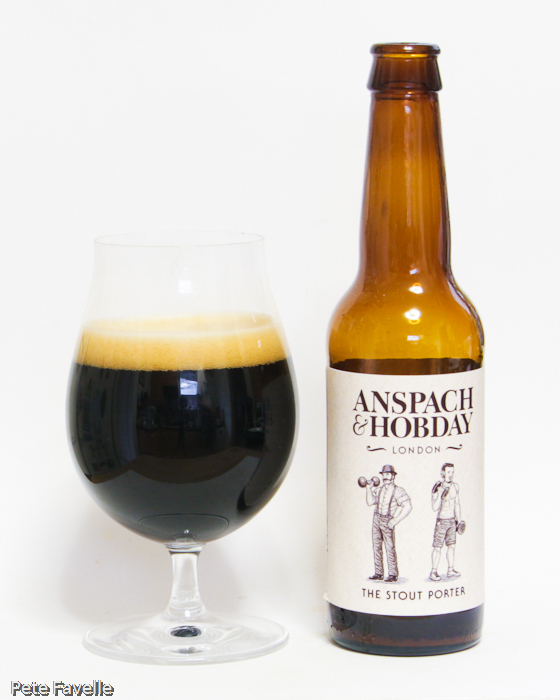 The Porter is a more conventional 6.7% ABV. It’s a similarly dark ale, but the head isn’t so huge and is a touch lighter and much more finely bubbled. The aroma is remarkably similar with floral hops and a light espresso background but there’s a touch of brown sugar present too. It’s nicely thick on the tongue, with a slight sugar syrup sweetness being quickly washed away by a deep hoppy bitterness. In the background is a sour black cherry tartness, but it’s better balanced and rounded than The Table Porter. There’s a hint of black treacle in the aftertaste, but overall it doesn’t taste nearly as big as the ABV might lead you to expect. The Stout Porter is the big brother, at a substantial 8.5% ABV. Visually, it’s very similar to The Porter, although the head is more fleeting. On the nose, the hops are not so apparent but there’s a warm slightly chocolatey nature and you can smell the alcohol. On the tongue it’s full of sweet molasses, which is nicely balanced by a deep alcohol dryness and some powerful resinous hops. That chocolate character continues, and the alcohol warms all the way to the belly. It’s a powerful stout and despite all that alcohol, delicious and quaffable – definitely the pick of the three Porters. 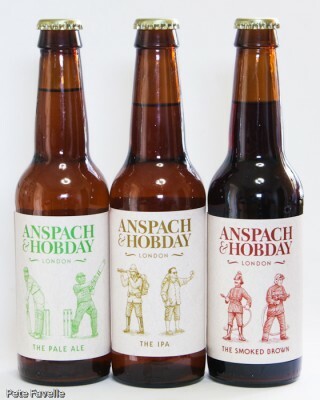 Overall it’s an interesting range; The Pale Ale in particular is magnificent and The Smoked Brown well balanced. Despite being impressed with all their Porters, a part of me can’t help wishing that with a core range of six beers, there was a wider range of styles represented.